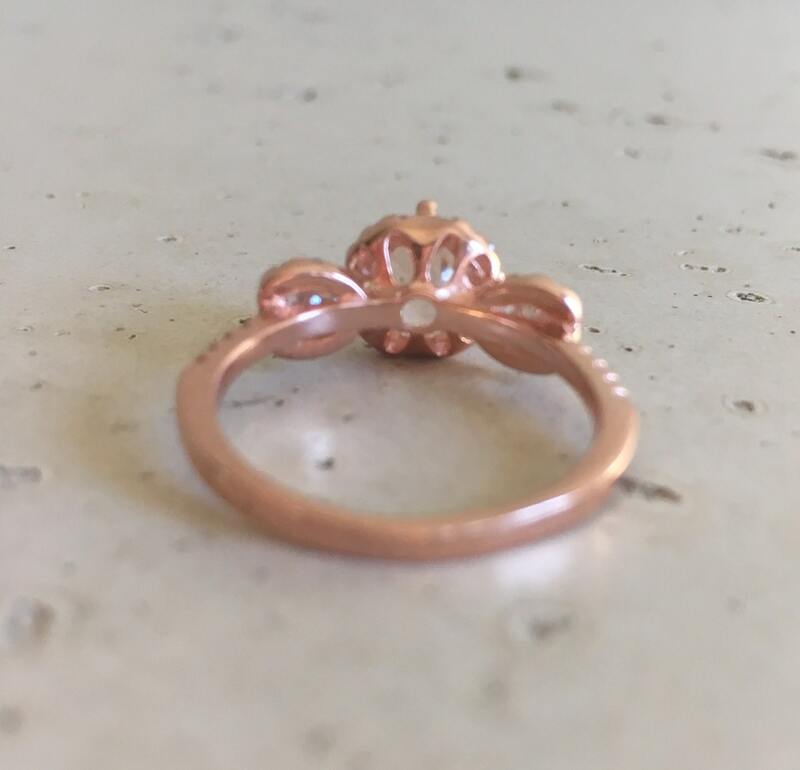 --->Please note for Rose Gold Plated over Sterling Silver, we provide a careful instruction on how to keep your jewelry clean as well as keeping your plating long lasting. 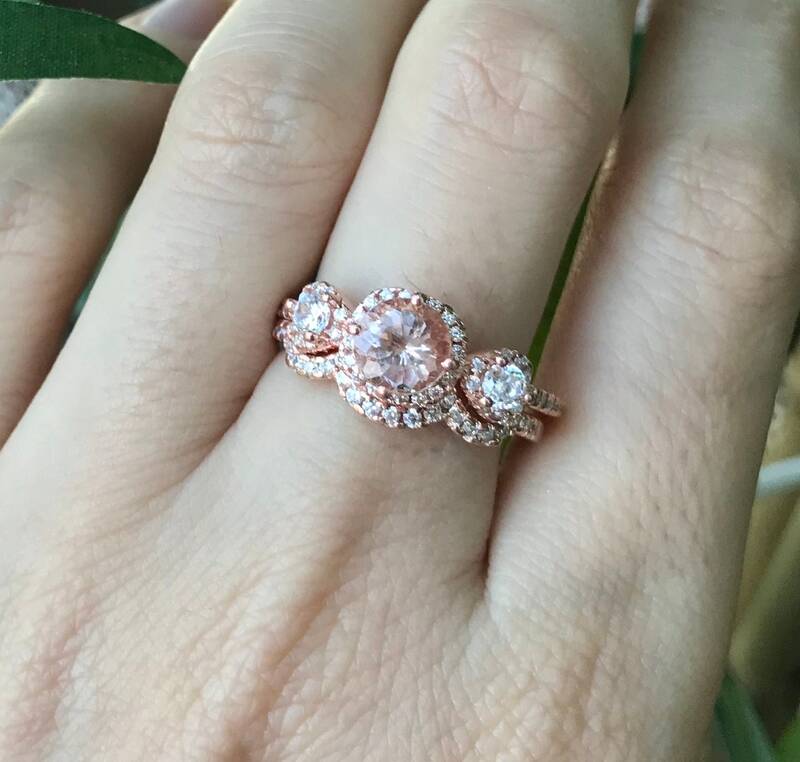 It’s a very bright rose gold. The two white diamonds around the centerpiece look like they are in a heart-shaped setting. 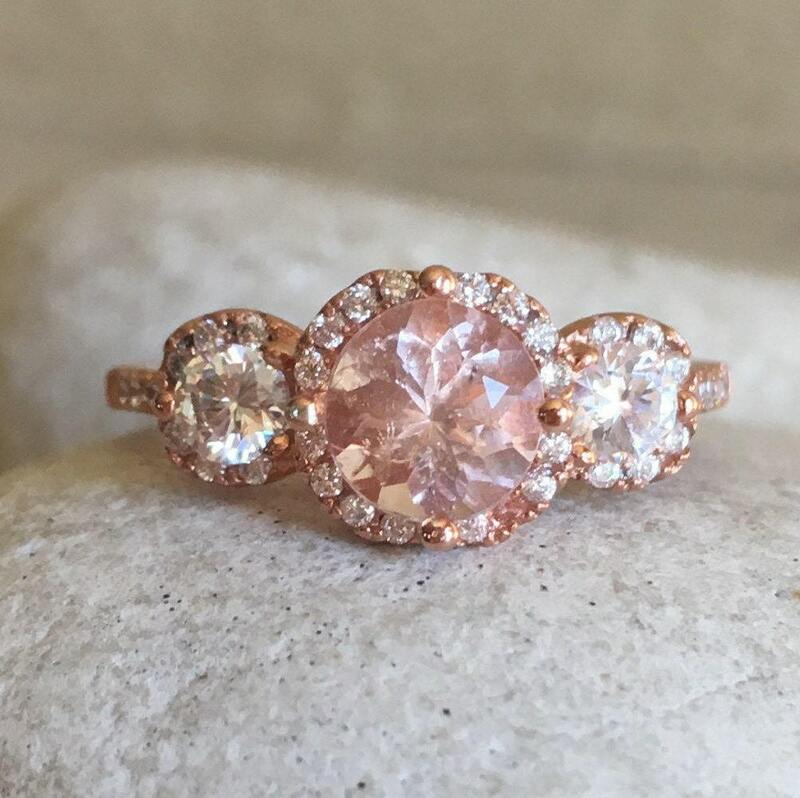 The only thing that I don’t like is that the center pink diamond is not pink at all. It’s more of a champagne yellow. 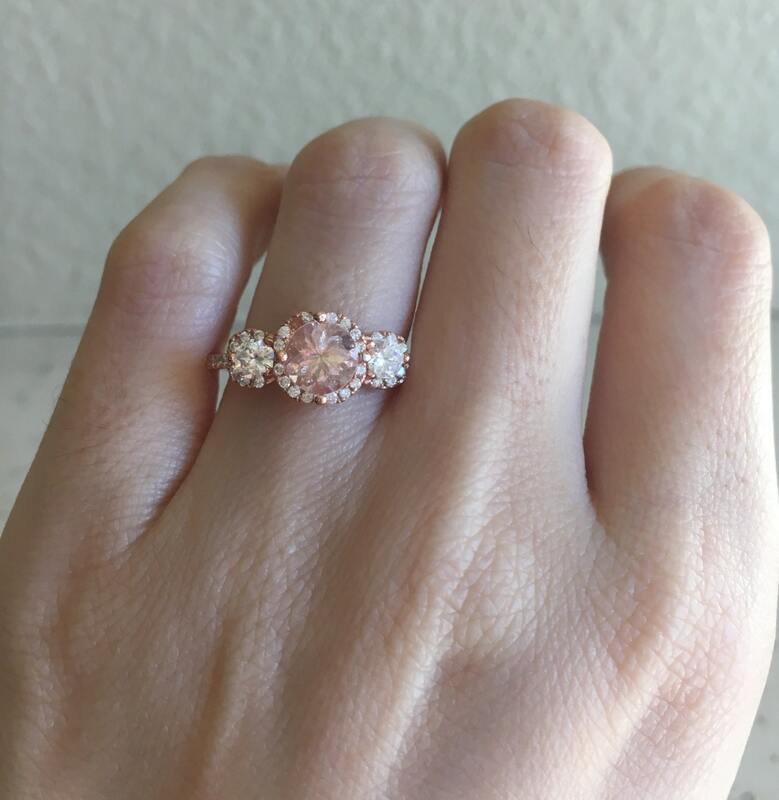 I’m not the first person to get this ring and get the champagne yellow instead of pink. So keep that in mind if you’re buying. 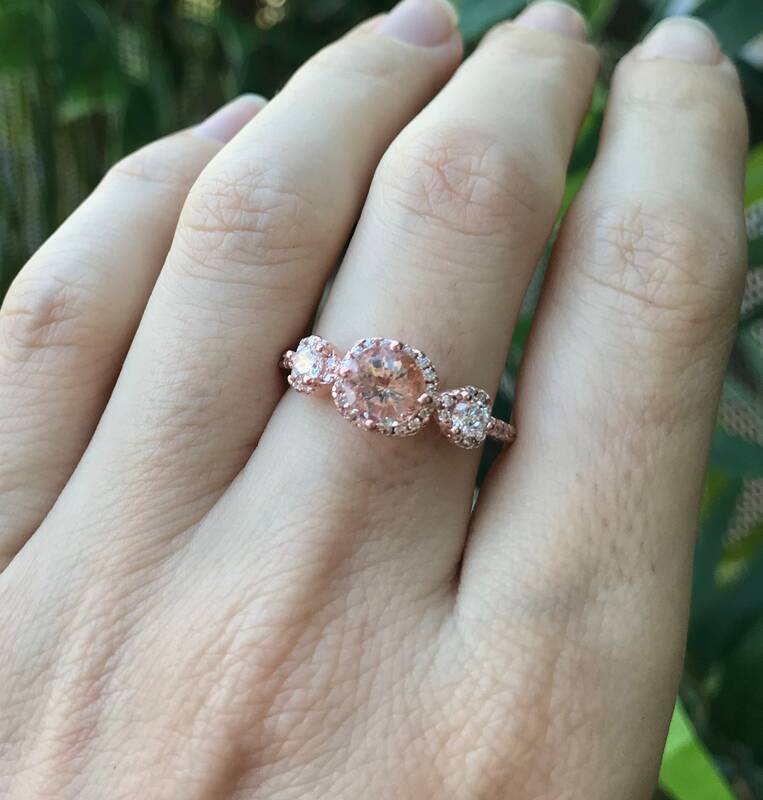 Overall, it’s a beautiful Art Deco ring that is very unique looking and I like it a lot. The ring is beautiful. It is more brown/peach than the pink that it appears in the photo. Shipping was faster than I expected. The shop owner was very nice and eady to communicate with. Overall, it is beautiful and I love it. 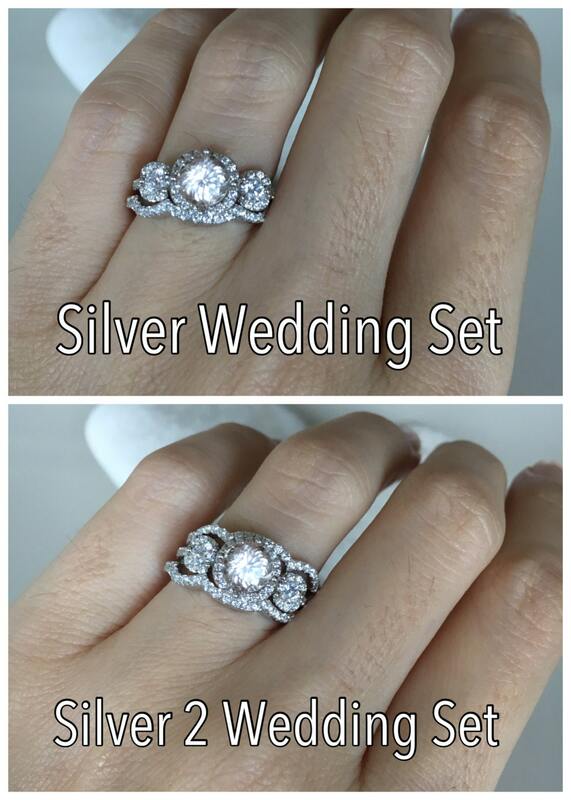 Beautiful ring set! 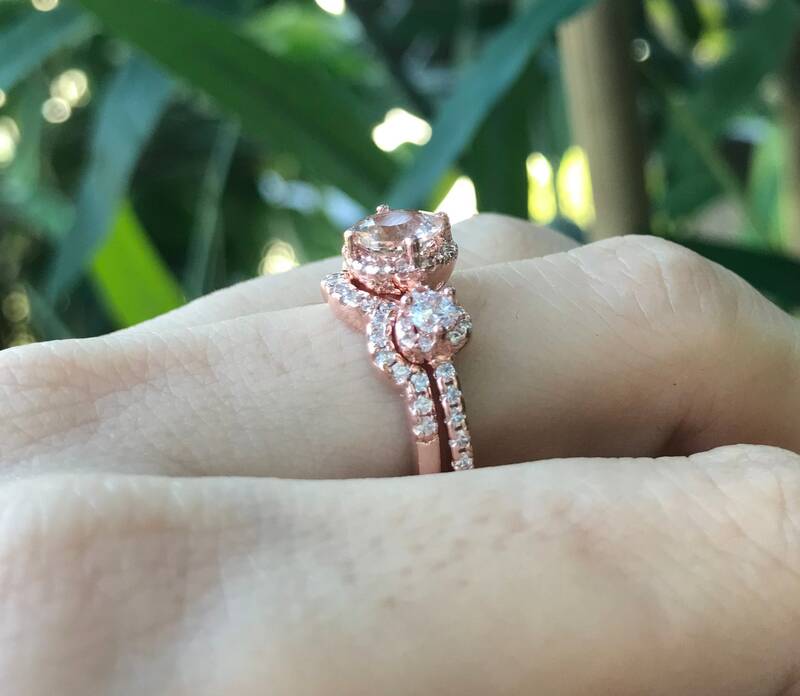 Love is as an alternative ring to wear! 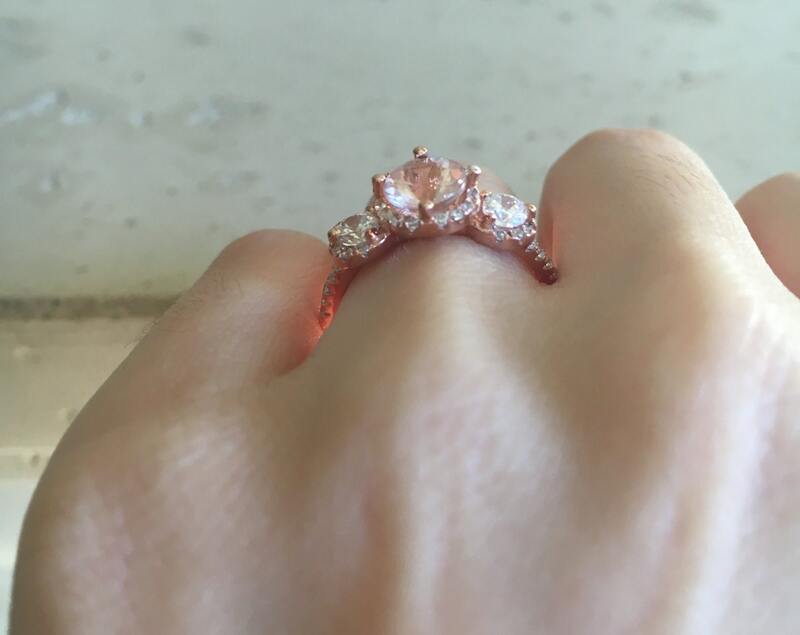 It is a Beautiful ring in the pictures and in real life!! I love it!! 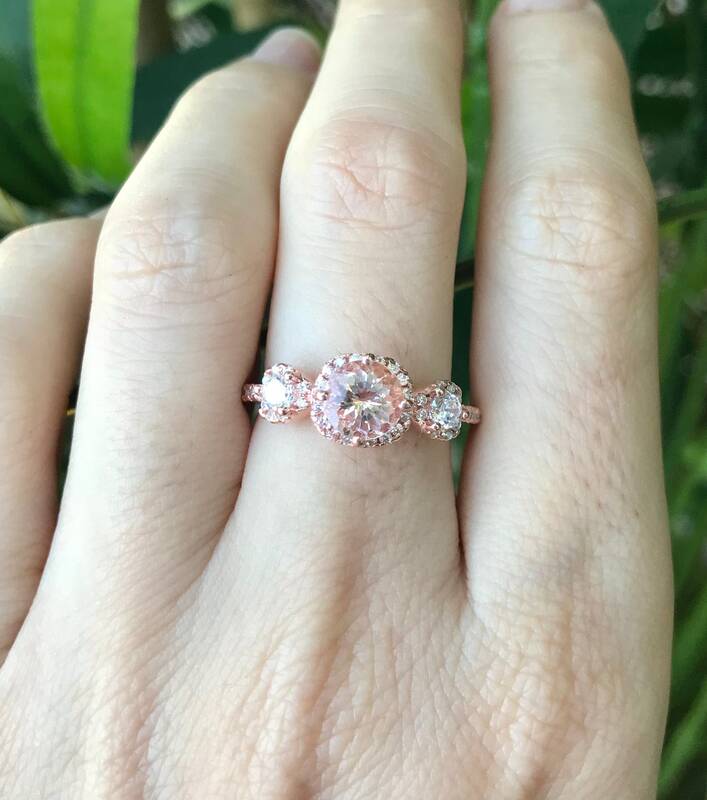 The quality of the ring is amazing and I get tons of compliments! I want to order more! The shop was wonderful to work with too! Even though I ordered the wrong size, she sent out a new one and it got here before Christmas! 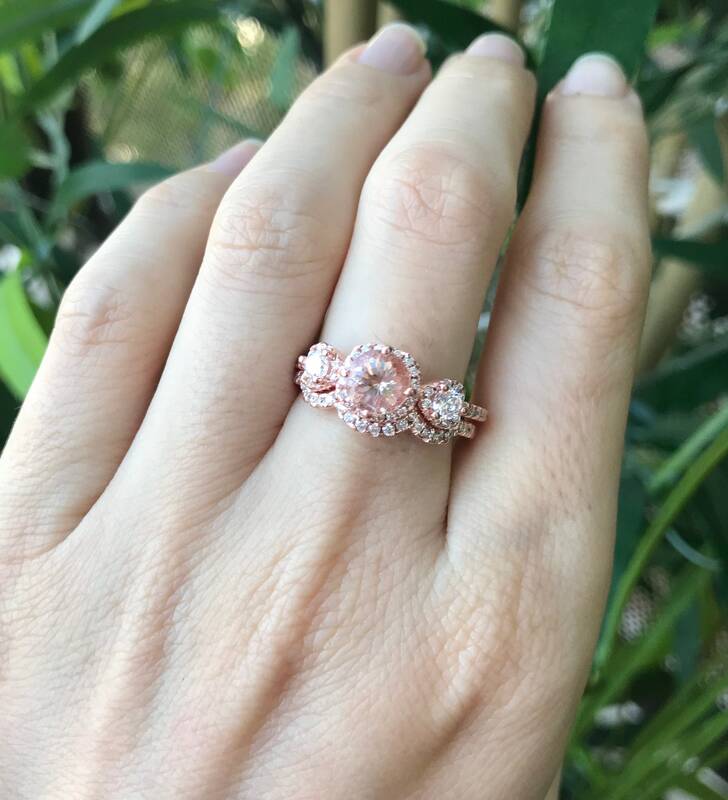 I can't say how positive my experience with this vendor has been and I would recommend it to everyone looking for great jewelry.